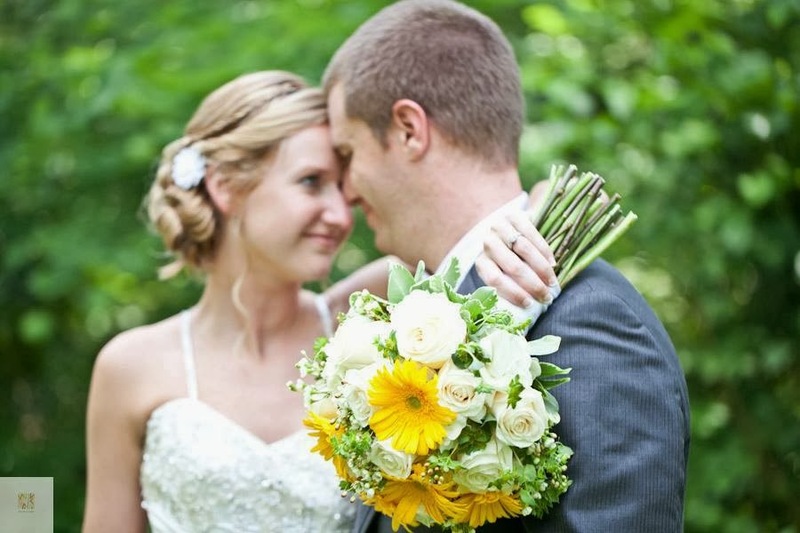 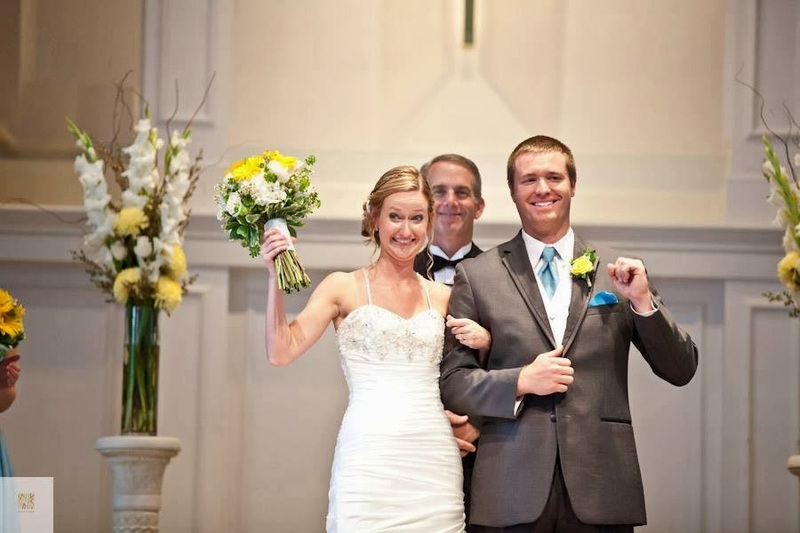 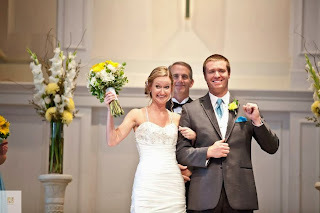 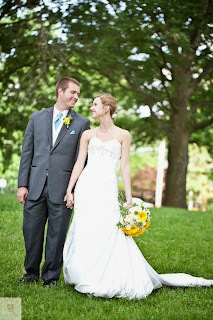 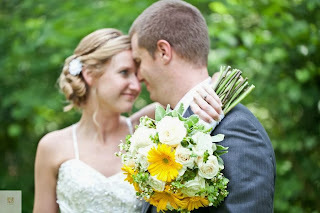 Kathleen and Chris enjoyed their day this past June with colorful pops of yellow. 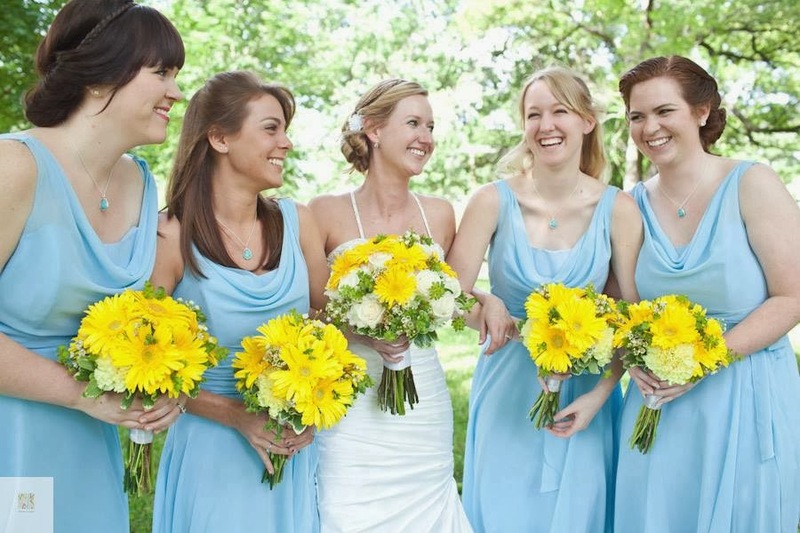 This fresh, summery look was a hit with family and friends! 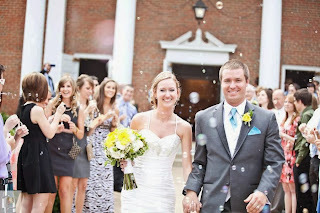 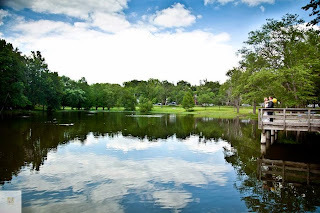 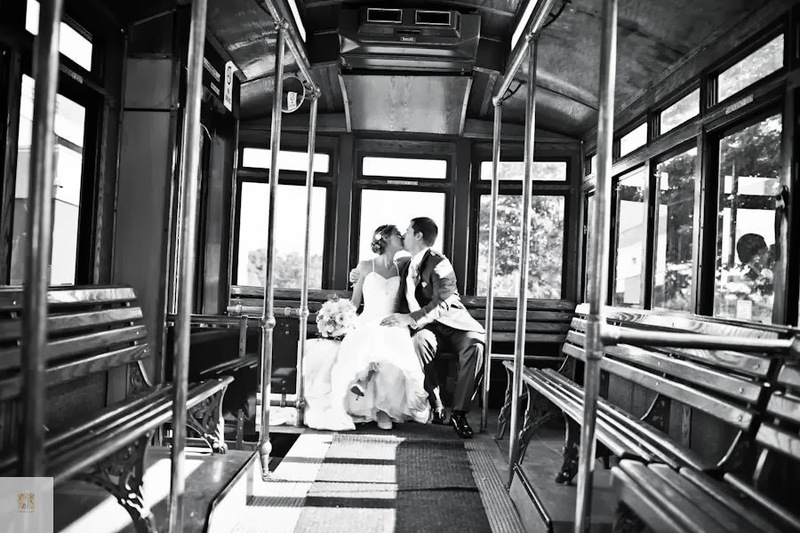 Photos by White-Klump Photography. 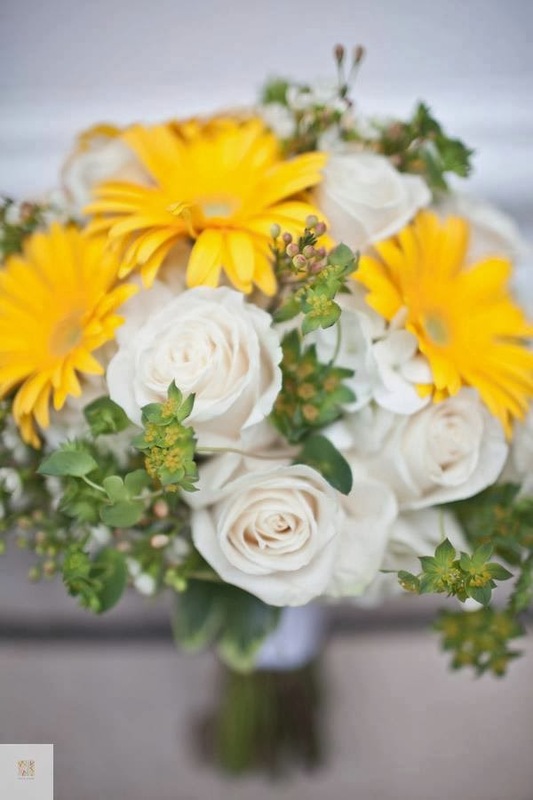 Kathleen’s bouquet was a mix of bridal whites and ivories with a splash of bright yellow. 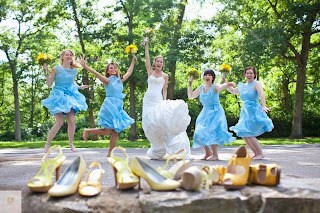 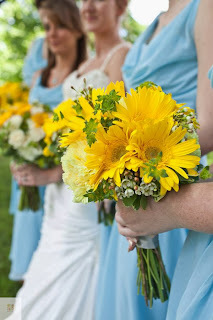 The bridesmaids carried these vibrant yellow clutches of summery blooms. 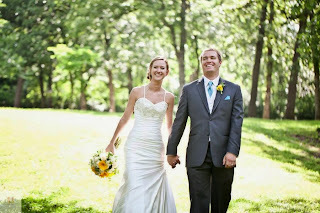 Best wishes to the newlyweds who made our job so bright and easy!